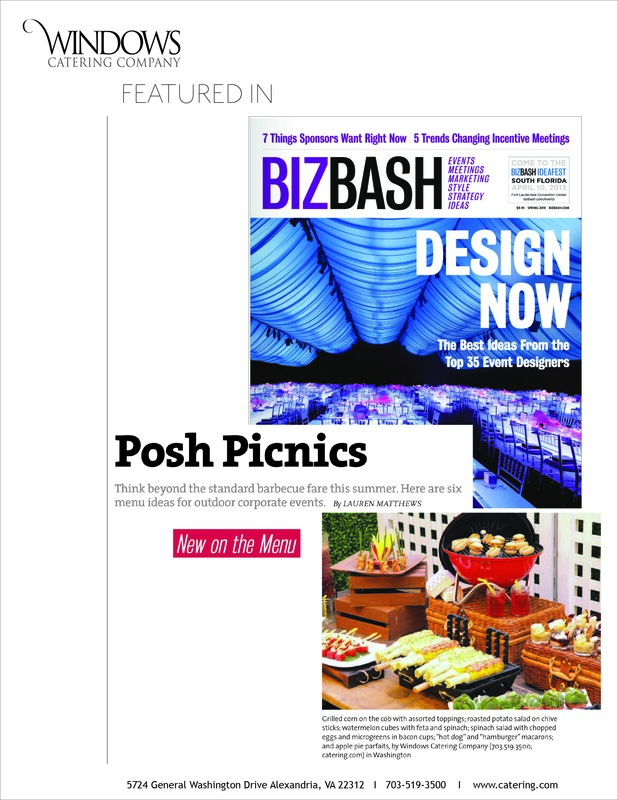 In the latest issue of BizBash Magazine we talk catering ideas for company picnics . We featured our grilled corn on the cob with assorted toppings; roasted potato salad on chive sticks; watermelon cubes with feta and spinach; hot dog and hamburger macaroons and applie pie and smores parfaits. 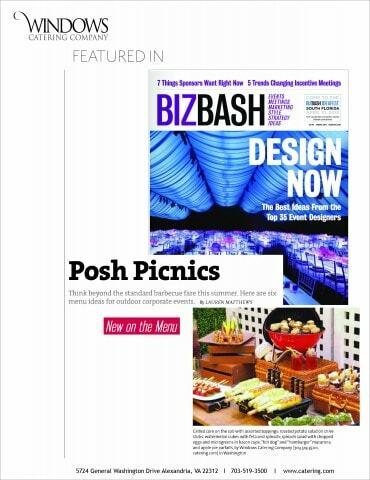 You can read an online version of the feature here.